The really interesting tech news at the moment is that the Phoenix lander has landed on Mars. They aimed the thing at the planet, it travelled through space, entered the Martian atmosphere, deployed a parachute to slow its descent, and landed where they wanted it to land. All that is in itself amazing, since so much has to happen without a hitch to be successful and not wind up like the original Mars Polar Lander which was lost for reasons unknown. 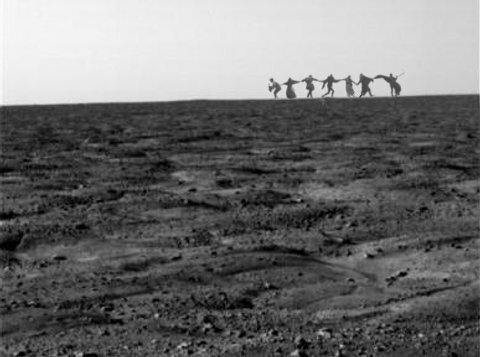 It’s always tantalizing to get pictures from Mars. That’s one of the first things Phoenix has done. One of the local features the Phoenix lander will search for is the water underneath the Martian soil. Descriptions of Phoenix’s purpose tend to be very scientific in tone — quest for knowledge, history of the red planet, the importance of knowledge for knowledge’s sake, that sort of thing. But more important, in my opinion, is knowing how available water will be when we get there. Not only is it necessary to sustain life, it is useful for its chemistry, and as a potential source of oxygen and hydrogen. Along with the other natural resources of the red planet, it can support long term colonization of Mars. With a breeding population of humans on Mars, we won’t have all of our eggs (and sperm) in one basket. If Phoenix finds that life existed, it would also be useful to know what wiped it out. That could be key in any long term strategy to terraform Mars. There’s no point in setting up shop only to go the way of the original Martians. Unmanned missions are better than nothing, but dropping a lander like Phoenix in the Martian north is a little like aliens dropping one in the middle of Nunavut. They’d learn a lot about Earth, but they would learn even more about Nunavut. Exploration of Mars won’t begin in earnest until there are people there asking and answering questions in real time, and utilizing the resources of the planet to explore and shape it for human settlement. Which is better, drug sniffing dogs, or drug sniffing technology? Officials at Tokyo-Narita airport may be asking themselves this after their dogs failed to find five ounces of marijuana placed in a random piece of passenger luggage as a test.